"Wärtsilä is well positioned to pursue growth even in today’s challenging market environment." Read President & CEO Björn Rosengren's message to the shareholders. We began setting up a new manufacturing facility in Brazil to serve increasing local demand, particularly in the offshore market. A strong emphasis on reasearch and development is necessary for maintaining our competitiveness. In 2013, R&D expenditure represented 4% of net sales. Pierpaolo Barbone (left) was appointed President of Services, while Marco Wirén (right) took the seat of Chief Financial Officer. The new structure will enhance transparency, accountability and speed within our organisation. This will enable us to better support our customers in a more efficient way. We added 2-stroke dual-fuel engine technology to our portfolio, and received the first order for this game-changing technology shortly thereafter. In February, Wärtsilä received an order from Portland General Electric Company (PGE) to supply a 220 MW power plant being built near Clatskanie in the state of Oregon, USA with 12 Wärtsilä 50SG natural-gas-fuelled engines and related auxiliary equipment. Rick Tetzloff, Senior Project Manager at PGE, shares the business logic behind their selection of Wärtsilä technology. On January 31, 2013, Wärtsilä received an order from Portland General Electric Company (PGE) to supply a 220 MW power plant being built near Clatskanie in the state of Oregon, USA with 12 Wärtsilä 50SG natural-gas-fuelled engines and related auxiliary equipment. We asked Rick Tetzloff, Senior Project Manager at PGE, to share the business logic behind their selection of Wärtsilä technology. Traditionally we’ve relied on hydro resources to provide flexibility, but the share of our generation provided by hydro is declining over time. The biggest benefit the Wärtsilä 50SG engines provide for our system is in allowing us to maintain compliance with our commitments to renewable energy. With any resource that we add to our system, flexibility is going to be one of the key drivers. Just to set the scene, PGE could be described as a fairly typical investor-owned utility in the Pacific Northwest. We have residential, commercial and industrial customer segments, and our main priority is to achieve the best combination of cost and risk for these customers. In 2009, we submitted an Integrated Resource Plan to the Oregon Public Utility Commission (OPUC) which established the need to seek approximately 200 megawatts of flexible peaking capacity. We then initiated an RFP process in 2011, into which we ourselves made two entries, one of which employed Wärtsilä technology. Managed by a separate, impartial team at PGE, the RFP and bidding process was overseen by an independent evaluator reporting to OPUC. Port Westward Unit 2 in its current form, using Wärtsilä 50SG engines, was the successful proposal. That’s the long, complex process that gave rise to this selection of technology and supplier. In terms of our annual energy needs in the Portland area, we are becoming a dual-peaking utility, with nearly equal summer and winter peaking loads. On a daily basis, we also have a fairly standard loading profile, with morning and afternoon peaks. Traditionally we’ve relied on hydro resources to provide flexibility, but the share of our generation provided by hydro is declining over time. Where before we depended on mid-Columbia hydro contracts for load-following functions in our generation system, more and more of those resources are now switching to a short-term market basis or serving their native loads. Our Integrated Resource Plan showed that we needed products that would provide ancillary services, including load following, regulating margin, spinning reserve and non-spinning reserve. Wärtsilä’s engines cover all of these needs. The plan they proposed for the Port Westward Unit 2 plant complements our portfolio very well. The power generation we have currently is more traditional, and wasn’t designed to be ramped up and down throughout its load range at a fast rate. This capability was something we needed to add to our system to maintain flexibility as more wind energy is integrated into our system. Fuel storage was critical to the success of this project because traditional pipelines need to have the gas scheduled a day in advance. You need to predict how much gas you are going to use the next day and be responsible for balancing it if you deviate from that. Having access to an underground reservoir close to our facility was a key driver for this location and for this kind of technology to be added to our system. There is very limited available capacity in the existing pipelines so we will need to use what capacity we have to inject gas into the storage reservoir during off-peak periods in order to have it available when needed for this plant. When fully constructed, we’ll end up with an underground natural gas storage reservoir and pipeline that we can draw from at any time of day, at any load, to match our needs on the generation side. The biggest benefit the Wärtsilä 50SG engines provide for our system is in helping us to maintain compliance with our commitments to renewable energy, and as those commitments increase over time, they also allow our customers to benefit from a more renewable-focused electricity portfolio. The modelling we’ve done to date, looking at our entire portfolio, shows that these engines will be operated throughout the year when integrating wind. Though it's diffucult to predict the capacity factor for the plant, we expect that some portion of the plant will be used every month if not every week, when integrating wind. There may be days when only two or three units are run, and others when all units will be operated at minimum load and have that spinning reserve available as the day progresses. As the wind energy penetration in the Northwest increases to meet state renewable portfolio standard requirements, we expect this plant to be used on a more regular basis. One area we needed to work on was the education about this new technology, as the use of reciprocating engines as a prime mover for generation is a new development within PGE. There was a bit of a learning curve internally and with our stakeholders, which necessitated informing people and getting them more familiar with using this technology in a major power plant. During the decision-making process we also developed an internal model that simulates overall system costs to show the savings to our customers that are realised by having flexible capacity. We can plug different resources into this simulation and model the constraints and the flexibility of those resources, and then see how these results are reflected as lower overall OPEX in the system. This included some modelling of things like pumped-storage hydroelectricity and compressed air energy storage. In the context of our integrated resource plan, we look at all the options, but those technologies are very risky right now. 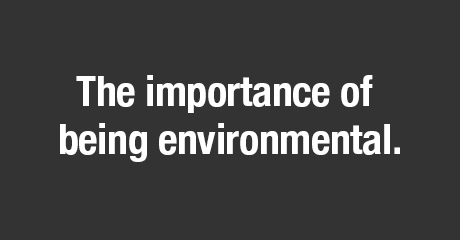 They take a long time to develop, and there are also a lot of permitting risks. With the future addition of more wind energy to our system to meet our renewable portfolio standard requirements, the need for flexibility is only going to increase. This was one of the driving reasons why the flexibility of Wärtsilä's technology made them a good fit for this project. Wärtsilä has a long history. We see them as a company that tries to work fairly and reasonably with their partners, and we’re happy to pass on the benefits of this relationship to our own customers and stakeholders. We understand that there is too much information out there sometimes, and too little clarity. 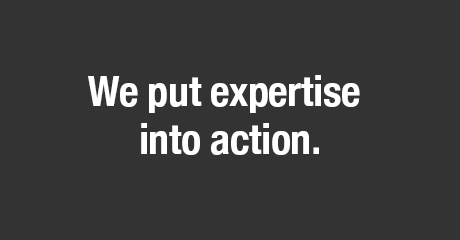 That’s why when it comes to our LNG service contracts, we want to explain things in a way that will make the most important points sing out. We understand that there is a lot of information out there sometimes. That’s why when it comes to our LNG service contracts, we want to explain things in a way that will make the most important points sing out. Continue scrolling to discover what’s distinct about the way we serve our customers, why LNG is so important today to the shipping and power industries we serve, and how Wärtsilä is uniquely placed to capitalise on the biggest trend in this area for many years to come. Viking Grace is the first passenger cruise ship in the world to run on LNG. 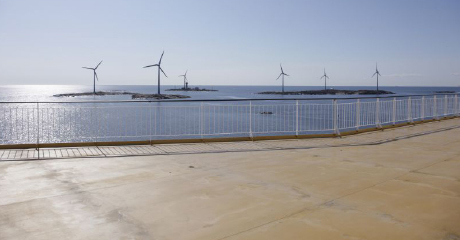 This makes it the most environmentally-sound cruise ferry in the world, the stunning result of top-notch engineering and state-of-the-art design. 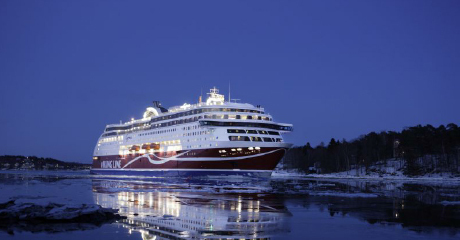 The vessel operates between Turku and Stockholm – her large windows command a view of thousands of small islands scattered across the sea between Finland and Sweden. Wärtsilä’s service agreement covers the four Wärtsilä 50DF dual-fuel main engines, as well as the Wärtsilä LNGPac. The overall service target is to extend the intervals between maintenance, optimise the logistics for spare part deliveries, and ensure optimal operating efficiency and fuel consumption, thereby lowering operating costs. Gas is also clean. Viking Line will make savings here too, as the decreased need for cleaning machinery will cut the cost of maintenance. "Our highest priority is the maintenance of safety measures on both short- and long-term bases. 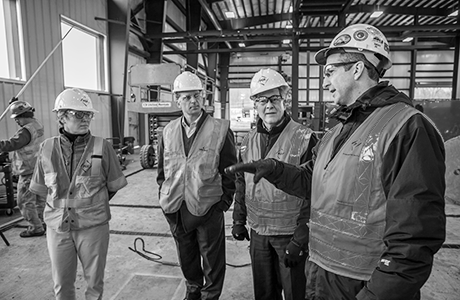 It is a great privilege indeed to be working with industrious and safety-oriented colleagues, all of whom have risen to the challenge of keeping a visionary approach to shaping M/S Viking Grace. The logistics of the liquefied natural gas (LNG) supply started working well in April, since the bunkering supply vessel Seagas has started operation. 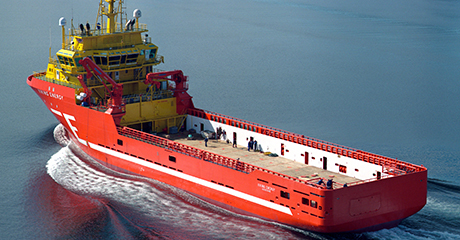 Wärtsilä has enjoyed a long-term services relationship with Eidesvik Offshore ASA, covering multiple vessels, since 2010. 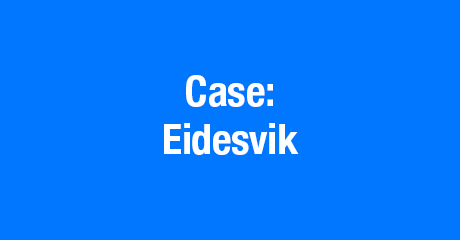 "Today Eidesvik operates a fleet of 28 modern offshore support vessels within supply, seismic and subsea, with a further large vessel in construction. We are based on the west coast of Norway, employ approximately 800 people, and have been quoted on the offshore stock exchange Dax since 2005." “In 2003 we launched the first LNG fuel supply vessel, Viking Energy. “If we look at coastal areas in Norway, Sweden, Denmark and in the Baltic states, ships represent approximately 40% of NOx emissions. “We strongly believe that the use of dual-fuel engines combined with other hybrid solutions can help to avoid unnecessary burning of heavy fuel and therefore a great deal of pollution." 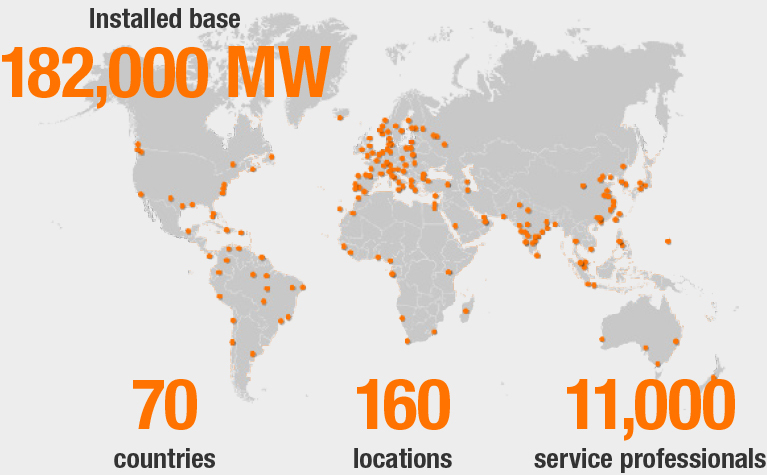 Now keep that world map in mind and let’s overlay Wärtsilä’s expertise in the gas value chain. don’t fully appreciate how big this will get. In 2013, a number of coinciding developments signalled that the tipping point for liquefied natural gas (LNG) is approaching. Wärtsilä, as an early backer of LNG for both marine and land-based applications, is seizing the moment to expand its own offering into a new area: infrastructure. 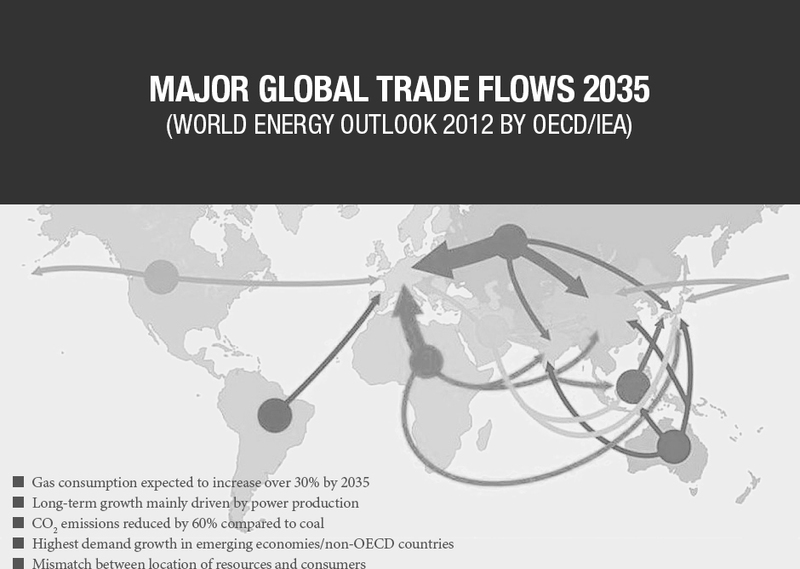 LNG has been labelled a fuel of the future for years now. Offering global availability and significant environmental benefits, the reasoning has always been sound, but with commitment from industrial and political decision makers required for its widespread adoption, along with significant investments into infrastructure, LNG’s time has been a while coming. Today, with North American shale gas on everyone’s lips, we are in the midst of what some have termed the “gas revolution”. LNG has begun to appear in the headlines of the world’s media, and commentators are elaborating publicly more and more about what these three letters could mean for the geopolitical status quo. Fuel prices may have dropped as a consequence of the newly available shale resources, but transportation is still seen as a challenge. 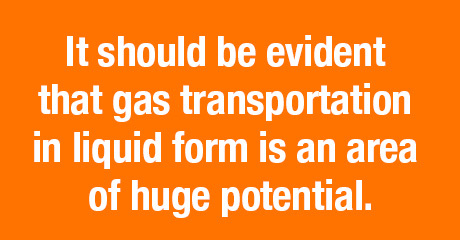 Liquefaction of gas is a key enabler: pipeline transportation is not an option, for example, when considering the North American potential to supply global markets. Nor is it a valid approach for island nations showing demand for gas (Japan is a major importer operating under these circumstances). By this stage, observers of the industries poised to take advantage of LNG are fully aware of the chicken and egg dilemma which has delayed the area’s development. Key decision makers have been slow to make the necessary commitment to infrastructure that would enable the world’s harbours and power hubs to reap the benefits of liquefied gas. However, Wärtsilä’s acquisition of Hamworthy in 2012, as well as substantially increasing its offering of environmental solutions, put the company in a unique position to help break the deadlock. The key enabler was Hamworthy’s expertise in small-scale liquefaction and regasification plants, their long experience in gas-handling solutions, and their many references for both offshore and land-based applications using similar and related technologies. For Wärtsilä, this provided the opportunity to plug a vital gap in the LNG supply chain, and the first case came from a surprising direction: the power plants business. 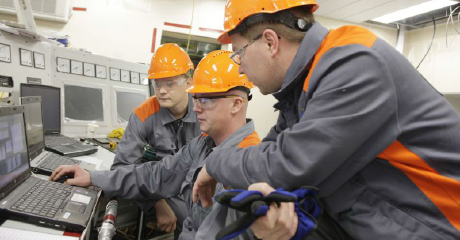 The energy demands on Wärtsilä’s doorstep – in Tornio, northern Finland – provide a textbook example of how certain usages such as industrial applications can provide a valid, cost-effective basis for installing LNG infrastructure which can then potentially serve other customer segments. 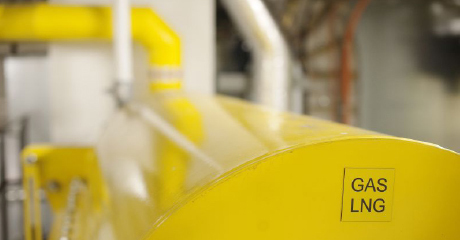 The deal entails a turnkey contract to supply an LNG receiving terminal in Tornio. Worth around EUR 100 million, the contract was made with Manga LNG Oy, a joint venture between the Finnish companies Outokumpu Group, Ruukki Metals Oy, Gasum Oy and EPV Energy Ltd. Exciting news from elsewhere in Europe supports this thinking. The Neatherland’s port city of Rotterdam, already the site of multiple LNG terminals, looks set to become the focal point of Europe’s first true LNG logistics chain. In 2013, two LNG-related European subsidy applications were granted, a strong indication that the EU supports the development of a Rotterdam LNG hub. These included a subsidy of EUR 40 million for LNG infrastructure for the Rhine-Main-Danube area and a EUR 34 million subsidy for LNG breakbulk terminals in Gothenburg and Rotterdam. The port shares Wärtsilä’s ambition to fully develop the market for LNG as a fuel, and the opening of an LNG hub in Rotterdam before the end of 2015 will represent a huge step in this direction. The subsidy for breakbulk terminals relates to a joint venture between the ports of Gothenburg and Rotterdam, and will also enable the supply of LNG to the bunker market in northwest Europe. Developments in infrastructure are not only necessary on the marine side, however. For LNG to fulfil its potential, adoption of LNG solutions is required on land too. This is why the media buzz surrounding Shell's Canadian green corridor in the past year is of such significance for the industry at large. The road from Calgary to Edmonton became the focus of international attention during 2013 and came to represent the most high profile discussion yet of LNG in the world’s media. By planning a number of LNG-equipped fuelling stations along the 300 km Calgary-Edmonton trucking route, Shell hopes to establish a working benchmark for LNG refuelling stations. In publicising a series of further investments, Shell also laid out plans for similar projects in Australia and the U.S. Two small-scale liquefaction units were announced in key locations, the first of which is to be placed in the Gulf Coast Corridor to serve the Mississippi River and the Intra-Coastal Waterway as well as the onshore oil and gas exploration areas of Texas and Lousiana. The second will be installed in Sarnia, Ontario, and will develop LNG availability to the Great Lakes, their bordering states and provinces on both sides of the border, and the St. Lawrence Seaway. Aided on the marine side by Wärtsilä, whose technology underpins, for example, Shell’s offshore support vessels in the Gulf of Mexico, this concentration of effort on the North American market could help to set a standard for global fuel trends in the near future. With LNG infrastructure now in a phase of development both in Europe and the Americas, Asian markets are also demonstrating considerable interest. This is most ably demonstrated by the bilateral cooperation pact to stimulate trade and investment opportunities in oil and LNG signed between Canada and Japan in October. 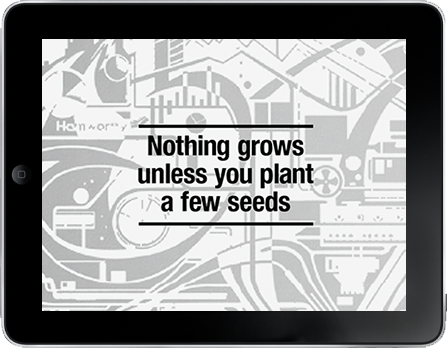 The tone has been set, and announcements of further initiatives look set to appear with increasing frequency. By all appearances, the future has arrived. Pilot projects like the Calgary-Edmonton corridor represent the first stage of the LNG market opening up. What could the next phases be? As confidence in the technology grows, the reliability and the economic case will trigger a tipping point where LNG infrastructure will evolve quickly from these initial trials to become a commonly-used fuel. What are the coming challenges? These are manifold: firstly, driving for critical mass of demand leveraging both supply and demand for LNG as a fuel, and driving down cost in the value chain to provide a sustainable competitive offering. Then, of course, we need further optimisation of engine performance and infrastructure. Finally, maturing operating standards and adequate regulation for the sector are of great importance. It is key to keep high safety standards which are fit for purpose. How does the land-based “green corridor” approach dovetail with the future of LNG as a marine fuel? Today marine demand is developing around the known emissions control areas. By doing so and focusing on key ports, we start to see the development of a network of bunkering options that will grow with demand to offer a compelling proposition for LNG as a marine fuel. This, of course, requires collaborative partnerships between leading global OEMs, such as Wärtsilä, shipowners, ports and end customers to embrace a vision for LNG as a credible fuel for the future. How do Shell’s marine partnerships fit in? A variety of collaborative partnerships between different players along the value chain are required to enable the market to develop. For Shell it is not feasible to simply make LNG available, build the infrastructure, and wait for the demand to develop. Credible and reliable technology partners, concentrating and aggregating demand in key hubs, local legislative support, and a strong will to make it happen need to come together to create the conditions for market development. In that context, Shell is proud to work with Wärtsilä and others to lead and innovate in the marine sector. When natural gas is cooled to around -160°C, it takes liquid form, and becomes LNG. This is called liquefaction. The gas is reduced in volume by a factor of 600. LNG’s energy density is 60% that of diesel oil, making transportation over long distances cost efficient. On the LNG terminal at port, regasification can take place, and a portion of the cargo can be transported via pipeline to fuel power stations or industrial operations. The remainder can be kept in liquid form, to be distributed as fuel for vessels or land-based vehicles. In the “green corridor” model, this LNG is used to stock filling stations along a busy trucking route. With confidence in LNG growing in shipping and land-based markets, scenarios like this will become increasingly common worldwide. 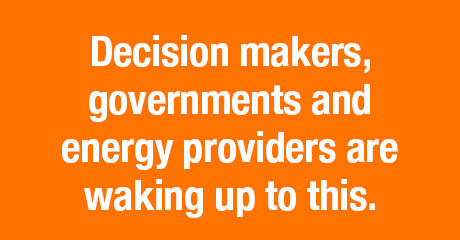 Rick Tetzloff of PGE shares the business logic behind their selection of Wärtsilä solutions. With LNG hitting the headlines, Wärtsilä is set to expand its offering into a new area: infrastructure. 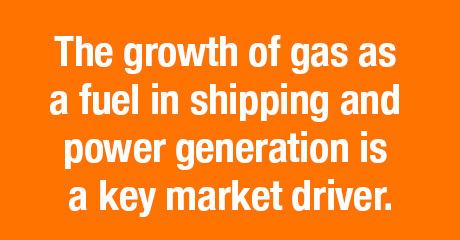 Discover Wärtsilä's unique opportunity in LNG services. 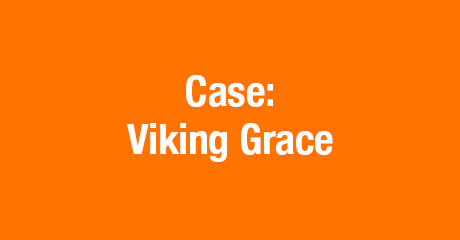 Viking Grace marks a major step in extending the use of natural gas in shipping.